With Business Acquistions’ guidance, today I can say I am more than happy with the outcome. Business Acquisitions has the experience level necessary to get a deal done! Patricia brought with her over 25 years of experience in the management and operation of a variety of organizations when she joined Business Acquisitions, Ltd. in 2009. She manages all aspects of the business including finance and accounting, marketing, business development and public relations, operations and administration, growth and development, and sales and human resources. Pat’s experience and background is uniquely suited to the ownership of the brokerage firm. Pat began her career in the Denver area serving as the Regional Administrator for a property management/sales company. She also held several positions for a national modular building sales and leasing company, finally serving as a Division Administration Manager in Phoenix, Arizona. 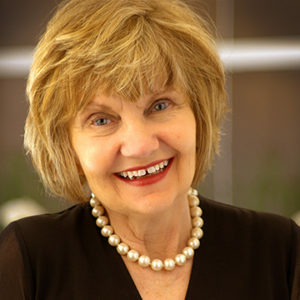 Returning to Denver in the early 1980’s, Pat began her 15-year career in law office management as the Human Resource Director for a large 17th Street firm. Pat later moved to a smaller, well respected firm as their Director of Administration responsible for finance, administration, human resources, and a growing IT department. After leaving the firm, Pat worked as an independent consultant in the fields of human resource management, 401(k) administration, law office management, and policy and procedure administration. Just prior to coming to Business Acquisitions, Ltd., Pat owned and operated an e-commerce business where she managed all aspects of the company including finance and accounting, website development and marketing, advertising, customer service, order processing, inventory, growth and development, and human resources. Her entrepreneurial expertise provides her valuable insight into the experience of someone selling their own business. Pat has an undergraduate degree in Business Management and an MBA with an emphasis in Finance from the University of Colorado at Denver. She is licensed with the Colorado Real Estate Commission and is a member of the Colorado Association of Business Intermediaries (CABI). In her free time Pat enjoys spending time with her adult sons, Chris and Nick. She is an active member of Mile Hi Church. Pat enjoys long walks in the natural areas near her house for fun and exercise, and takes every opportunity to travel.